The farm is part of me. 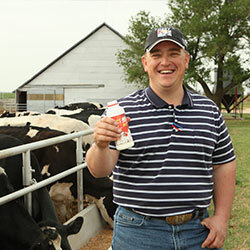 Erich Wehrenberg isn’t your typical dairy farmer; he actually spends most of his time off the farm – as the superintendent of Agricultural Research Facilities for Oklahoma State University. 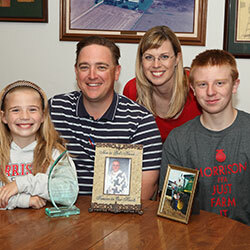 Wehrenberg took over the family farm after his father suddenly passed away. His mother and a farm manager help him take care of the dairy and wheat farm during the week, while the dairyman and his wife spend weekends there. 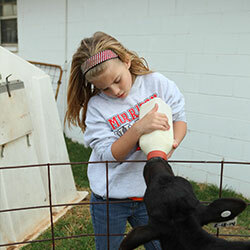 His children are active in 4-H and FFA, learning the ins-and-outs of raising livestock. 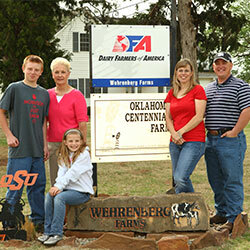 Wehrenberg hopes they’ll become the sixth generation of his family to operate the farm. 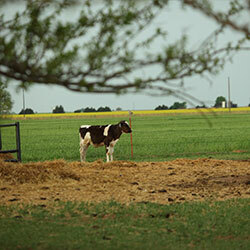 He says the history of the farm stretches all the way back to the time of the Oklahoma land run. 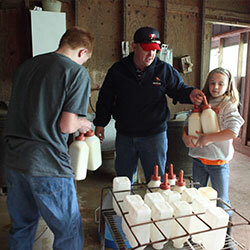 His grandparents began milking cows in the early 1940s, and his dad took over in the early 70s.